Thank you to everyone who entered! The winner has been chosen and has already gotten back to me! Keep On Cruzin this Summer with refreshing Agua Fresca from Santa Cruz Organic! We received the Agua Fresca for FREE from the sponsor of the Mom's Meet program, May Media Group, LLC, who received it directly from the manufacturer. 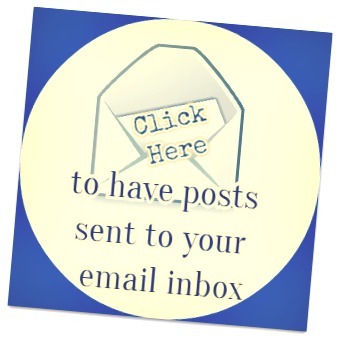 I received them FREE to facilitate this review and giveaway. All opinions in this post are 100% mine and may not reflect those of Moms Meet, the May Media Group or of the manufacturer. 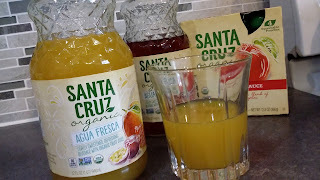 We were recently able to try out Santa Cruz Organic's NEW Agua Fresca beverages. Gotta say. . . . we all loved them! In fact, I liked them so much I didn't even want to share them with my kids! I did let them have some though! I mean, it would have just been rude for me to hide it from them. Maybe next time I'll keep it all to myself. . . . . . . can you see my conspiratorial grin??? Mine, mine, mine. . . . all mine! Just kidding. . . . I'll share. The Agua Fresca is so light and refreshing. It's absolutely perfect for Summer time. Here's a green tea chiller that I made with my Mango Passionfruit Agua Fresca. Boil water and let cool 5 minutes. Add green tea bags to water to steep. Steep 2 - 5 minutes depending on how strong you like your green tea. Pour 6 oz. of Mango Passionfruit Agua Fresca into pitcher. Pour green tea into pitcher with ice and Mango Passionfruit Agua Fresca. Stir, to mix the yummy flavors of the Mango Passionfruit into the tea. Add more ice if needed, to serve chilled. OR, make your tea ahead of time and chill in fridge for a couple hours before you add the Agua Fresca. The tea will have just a hint of Mango Passionfruit flavor. If you would like a stronger presence of Mango Passionfruit, add more of the Agua Fresca! 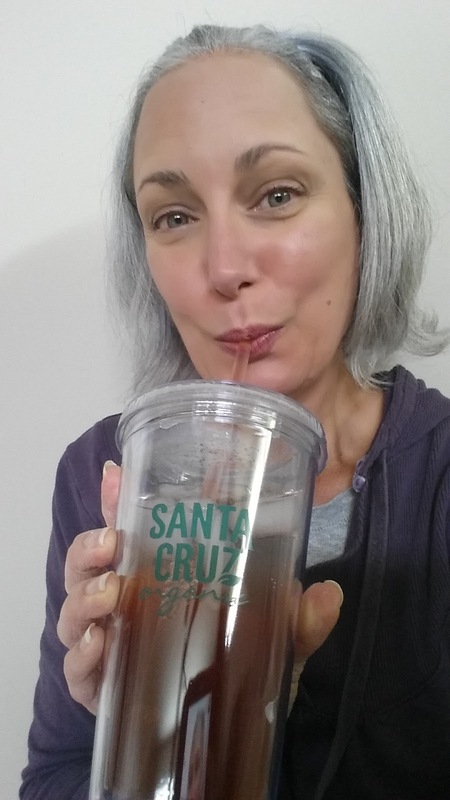 Santa Cruz's agua fresca is inspired by traditional agua fresca. From what I can find on the internet, agua fresca is a light, non-alcoholic beverage made with fruit, grains, seeds, sugar and water. . . and sometimes flowers! Agua fresca originates from Mexico, Central America & the Caribbean. They are traditionally sold by street vendors, but now you can have the Agua Fresca experience by going to the grocery store and getting yourself a bottle of Santa Cruz Agua Fresca. 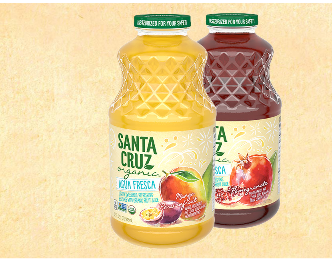 Santa Cruz Organic Agua Fresca is made with organic fruit juice, sugar and a hint of lemon juice. It contains only a handful of ingredients (all of which you can pronounce! ), including organic fruit juice/puree after the first ingredient, which is water. One other thing that I love about the Agua Fresca is that it comes in glass bottles. 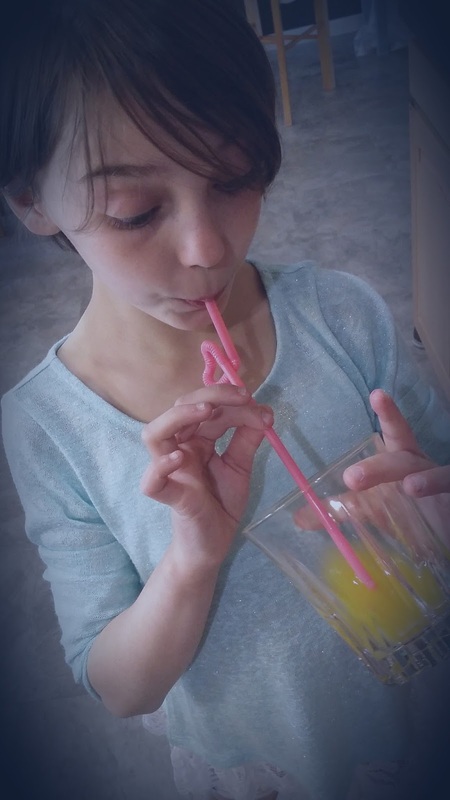 No worrying about whether there are petro-chemicals leaching into the juice that you and your kids will be drinking. Bonus! The Mango Passionfruit only has 60 calories per serving! 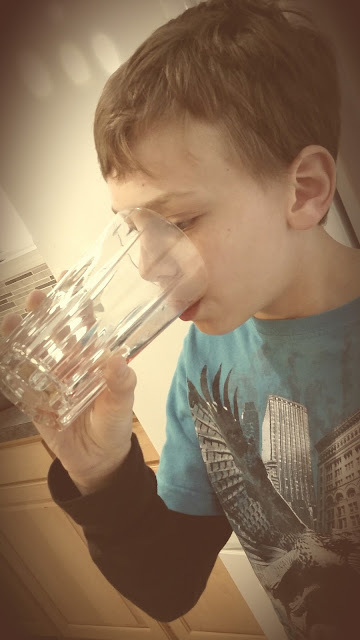 What a low calorie, refreshing way to hydrate yourself this Summer! I think the Agua Fresca would make great drink mixers in the Summertime too! Can you say Summer Cocktail hour? Or popsicles for kids. Or a base for a smoothie! The price is reasonable, selling at $3.20 - $3.49 for a 32 oz. jar. Santa Cruz offers over 50 organic products. You can see all of them at the Santa Cruz Organic website. 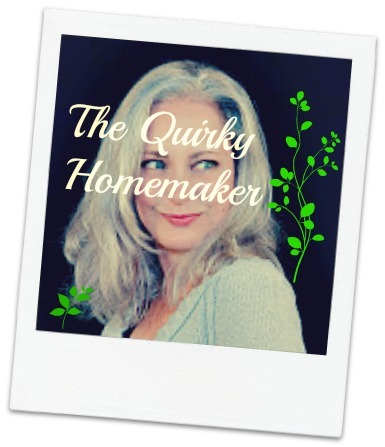 At the website, you can find all of the info about their products PLUS recipes, tips on living an Organic lifestyle, and a search tool to find Local Farmer's Markets near you! Moms Meet and Agua Fresca are offering to giveaway 2 Jars of Agua Fresca to One Lucky Winner. Giveaway is open to US residents only who are 18+. Giveaway begins May 26, 2016 and ends on June 15, 2016 at 11:59 P.M. EST. You can enter through the Giveaway Tools widget below. I would probably like the Pomegranate best. Yum! I'm looking forward to going to the beach this summer. I'm excited for the warm weather. The grapefruit would be the one I want to try. I'm looking forward to camping and going to concerts. I am looking forward to my hiking trip in North Carolina. I enjoy having no sticker time schedule in the summer. For sure the Pomegranate!! YUM!! They all look good, but I'd especially like to try the Pomegranate! I'm looking forward to spending a week at the beach with my family later this summer! I would start with the Mango Passionfruit. I would love to try the Mango Passionfruit most of all! I am most looking forward to going to Eureka Springs, Arkansas with my family & spending some quality time together! The flavor I think I would like best from Santa Cruz Organic Agua Fresca is the Pomegranate. I am dealing with a serious medical condition and treatment this summer so I am looking forward to getting healthier as each summer day passes and to help my kids still enjoy their summer. Yay! I'm the winner! Thanks so much. I love there Lemonade I always end up buy like 3 when I pass our Whole Foods Market.